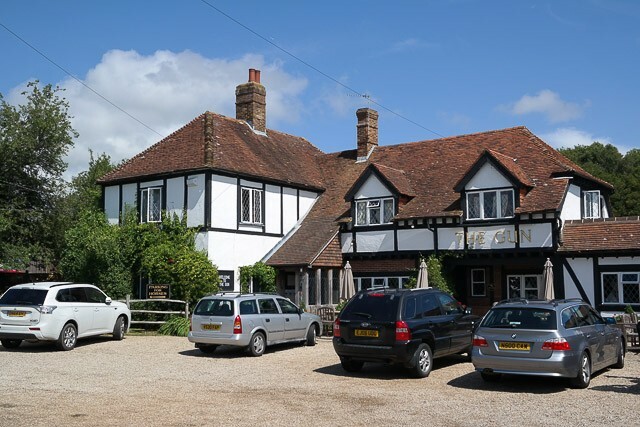 As we had recently visited The Great House in Hawkhurst and many of its sister venues, I decided to give The Gun in Gun Hill a visit. Booking was simple, I just used their online booking engine, mentioning our toddler’s dietary requirements (dairy, wheat and gluten free). A small parking area was outside the entrance, with a large garden to the right and sheep in fields opposite. We were met at the door and shown to our table in the Tudor beamed restaurant, next to the pizza area (with open oven). 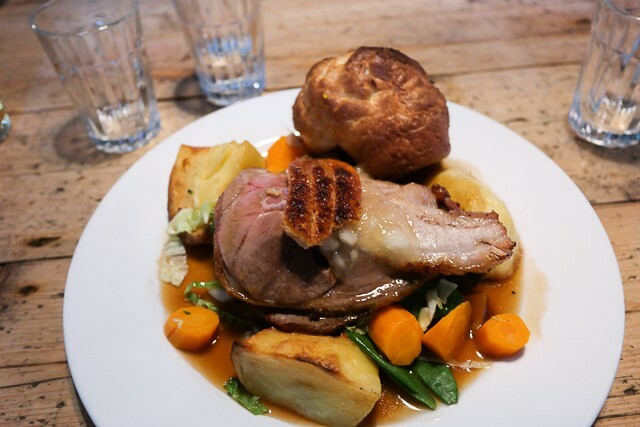 The table was laid out with thick linen napkins – we felt comfortable and cosy. Water was brought to the table. I ordered a Gun Bitter (not made by them – a brewery just down the road). Claire ordered a processco. 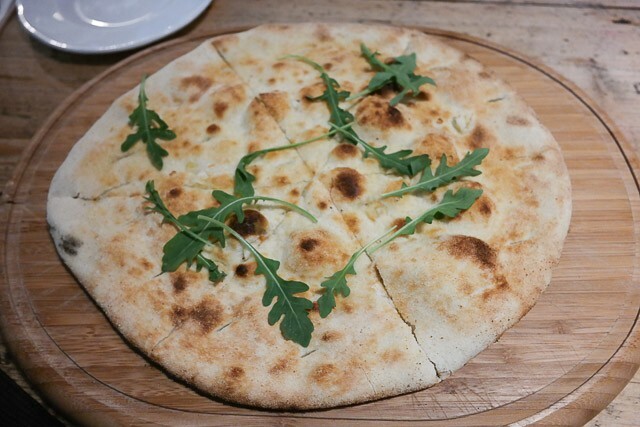 We ordered some rosemary and garlic bread to nibble on whilst waiting for our main course. It was delicious. Claire ordered the roast pork, I asked for the mixed platter (once again – ordered the same at The Great House) and JW sausages which were gluten and dairy free. It didn’t take long for the food to come out. 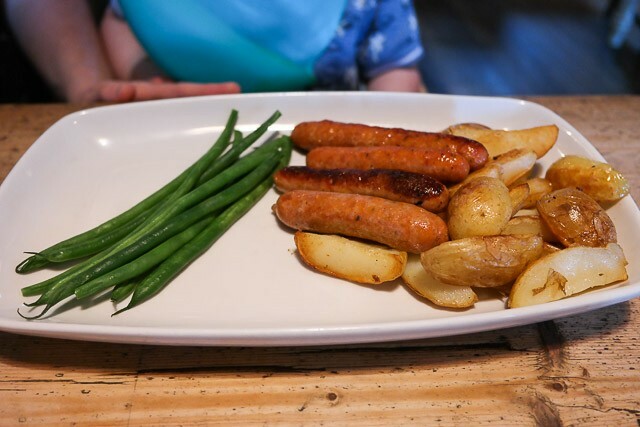 4 sausages for JW, along with sautéed potatoes – it looked good and he enjoyed it. I had a slice of each meat along with some crackling. 3 large roast potatoes. Excellent potatoes, nicely seasoned, large and crispy. The gravy was thin but flavoursome and I enjoyed the muffin style Yorkshire pudding. The vegetables consisted of mange tout, carrots, broccoli, cabbage and cauliflower. A great selection, had a good bite and not overdone. Lastly, the crackling one of the best I have tasted in a restaurant – crisp, crunchy and not fatty-tasting. 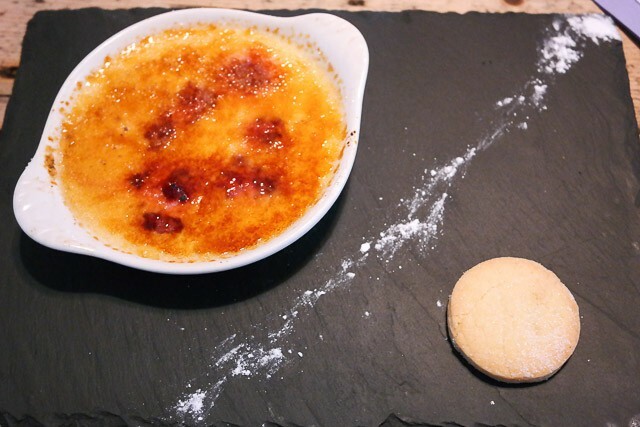 I ordered the raspberry creme brulee; instead of vanilla pods, had raspberries. A good snap on top, and I liked the shortbread. 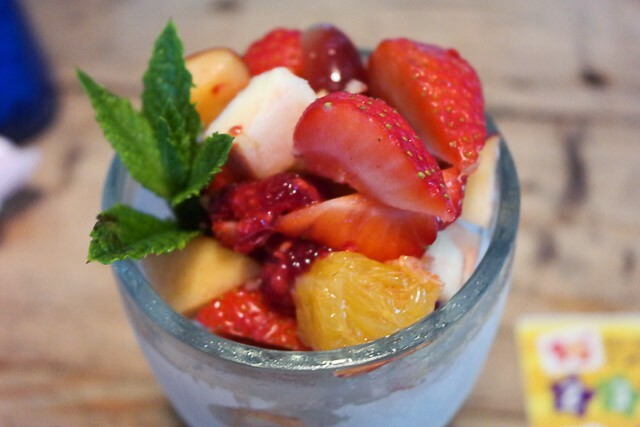 JW had a fruit salad which was very large with lots of strawberries, nectarines, grapes, raspberries and oranges. 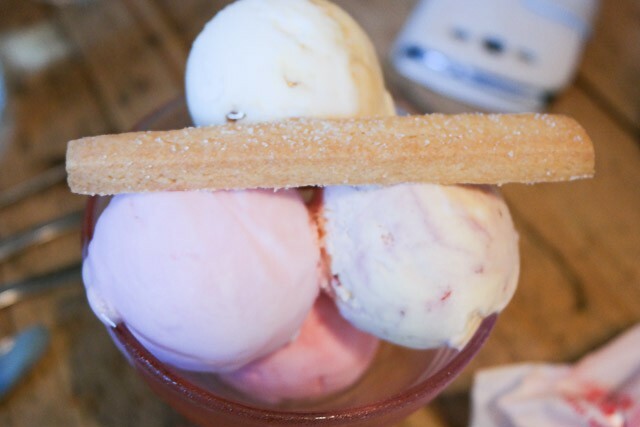 Claire ordered ice cream, being honeycomb, raspberry sorbet, pink champagne sorbet, clotted cream and strawberry ice-cream. A lot of ice cream, and she had to leave quite a bit, but very nice flavours. I believe they had a changing area for babies. There was a nice play area outside, although this was more for older children. The food options for kids was quite good (with a spot the difference! ), we were made to feel welcome with our toddler. Very good for families. The service overall was good, we felt looked after. 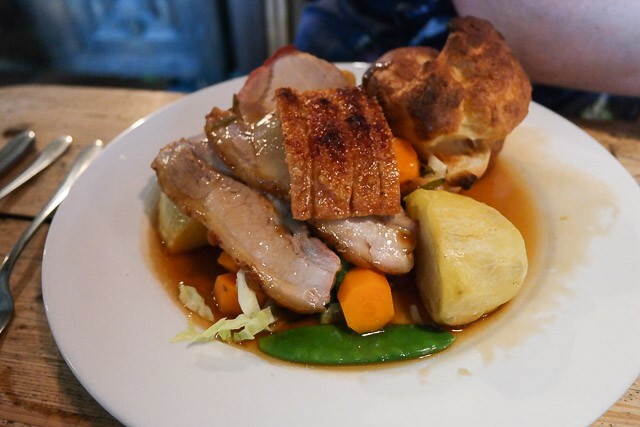 The food quality was on par with the other venues in the group (apart from the crackling – as mentioned it was delicious, and certainly beats the other places). A great fruit salad for JW, and desserts for us were very nice. Overall, another Top Rated venue from the Elite Pubs team – highly recommended for everyone.